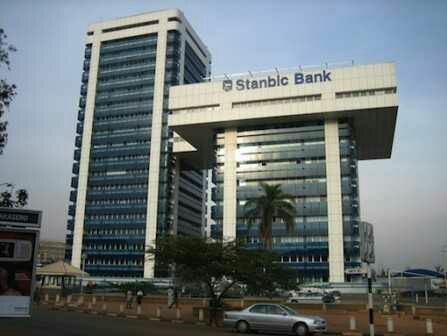 Stanbic IBTC staff arrested for stealing customer’s N3m - BlogIT with OLIVIA!!! A bank staff of Stanbic IBTC, a new generation bank in Nigeria has been arrested and charged before a Magistrate’s court sitting in Ejigbo for allegedly diverting the bank’s customer’s N3m in the account in Lagos State Western Nigeria. The 29-year old Kehinde Oyelade allegedly tampered with the bank’s computer and diverted the money belonging to Dada Olusunmi who is a customer of the bank.The incident happened at the Ikotun branch where Oyelade was deployed as the bank staff. However, the scam blew open after Olusunmi went to the bank to withdraw some money from his account and discovered that such huge amount was withdrawn from his account without his authorization. P.M.NEWS also gathered that the usual alerts the bank send to customers for any transaction was not also sent to Oyelade.He protested and complained to the bank management who investigated the account detailed transaction.During the process, it was discovered that Oyelade tampered his the bank computer and converted the missing money into his own account. When the management asked why he did so, he did not give satisfactory answers.He was immediately handed over to the police at Ikotun division who detained and interrogatedhim.He then confessed that he deliberately did it because he needed money to solve his personal problem. The police charged him to court with fraud and stealing under the Criminal Code.When Oyelade was arraigned, he pleaded not guilty.The presiding Magistrate, Mr A.A. Fashola granted him bail in the sum of N250, 000 with two sureties in like sum who must show evidence of tax payment for two years.He was remanded in prison custody at Kirikiri pending when he will perfect his bail condition.The matter was adjourned till 6 April 2016.